Nestled within the Connemara countryside, The Wilderness B&B offers picturesque views of the surrounding landscape, along with the convenience of free on-site parking. 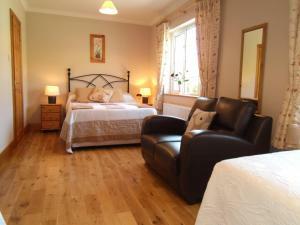 An en suite bathroom is featured in each room, as well as countryside views, free Wi-Fi and a TV. Tea/coffee making facilities are also provided. Clifden town centre is just under a 10-minute drive away and offers championship golf courses, beaches and castle ruins. Connemara National Park is a 20-minute drive and features around 2,000 hectares of scenic mountains, heaths and grassland. On the edge of beautiful, scenic Connemara and with magnificent sea views over Ardbear Bay, this charming hotel offers individually decorated en suite rooms and a superb award-winning restaurant. 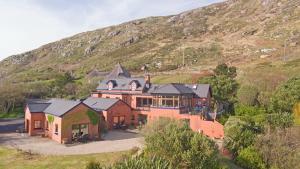 The Ardagh Hotel and Restaurant is located on the constantly changing Ardbear Bay, 2 miles (3.2 km) from the lively town of Clifden, known as the Capital of Connemara. Each of the well-appointed en suite rooms has its own unique charm and some overlook the bay. With spectacular sea views, the restaurant has received 2 AA Rosettes and specialises in lobster and locally caught seafood, with the menu changing daily to reflect the freshest seasonal produce available. The hotel also has a snooker room, a well-stocked bar and 3 charming and comfortable lounges, one with an open turf fire. There is also a sun lounge with stunning views. 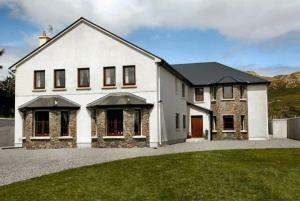 Situated on the outskirts of picturesque Connemara National Park, Ben Breen House is a family-run BnB offering modern rooms with free Wi-Fi, free parking, and easy access to Clifden, just a 10-minute drive away. Each room at Ben Breen House features an en suite bathroom with free toiletries, a flat-screen TV, a seating area, electric blankets, and tea/coffee making facilities. Guests can also enjoy panoramic views of the mountains, the sea and the west Connemara's landscape. A hearty breakfast is served daily and it includes fresh fruit, continental options, full Irish breakfast, cereals and pancakes. 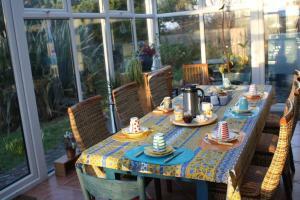 Upon arrival, guests are welcome with home-baked specialities and tea/coffee. 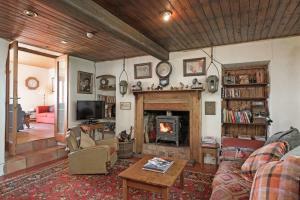 The sitting room boasts mountain views and an open fireplace; an outdoor children play area is in the large garden. Guests can enjoy a wide range of outdoor activities, including mountain walking and cycling. Kylemore Abbey is a 20-minute drive away, and the Connemara Loop is 23 km from the BnB. 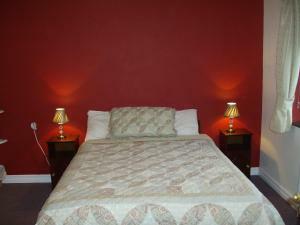 In the centre of Clifden, All the Twos offers rooms with spacious bathrooms, and full Irish breakfasts. Guests can enjoy mountain views, free Wi-Fi, and free parking, 15 minutes' drive from Connemara National Park. 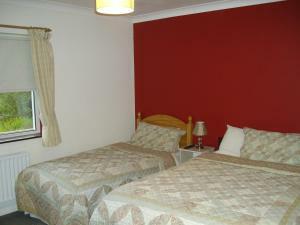 Each room at All the Twos provides a flat-screen LCD TV with satellite channels. Bathrooms feature power showers, free toiletries, and a hairdryer. 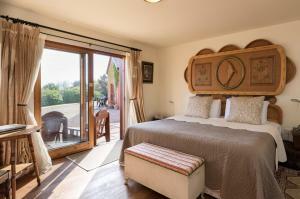 Rooms also include a hospitality tray with tea and coffee, and many rooms boast mountain views. Breakfasts are served every morning, with a breakfast menu available, including a continenetal and buffet selection as well as hearty cooked breakfasts. 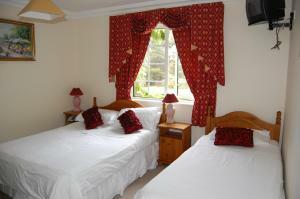 All the Twos Guesthouse also features a large comfortable guest sitting room with various games. Safe storage for bicycles is available, and there is a swimming pool and spa just a 2-minute walk away, and historic Kylemore Abbey is 8 km from the guesthouse. Inishbofin Island is 10 km away, accessible by the ferry. 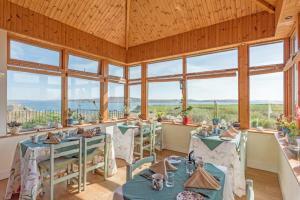 Dolphin Beach House is set on the seafront, 3.1 miles from Clifden. With free WiFi, this 4-star hotel has a garden and a shared lounge. At the hotel, rooms include a desk. Dolphin Beach House features certain units with sea views, and the rooms have a private bathroom. All guest rooms at the accommodation come with a seating area. A Full English/Irish breakfast is served every morning at the property. Dolphin Beach House offers a sun terrace. The area is popular for fishing and hiking. 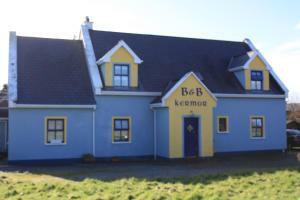 Located in Clifden, Kermor provides accommodation within 8.7 miles of Alcock & Brown Memorial. Free WiFi is featured. 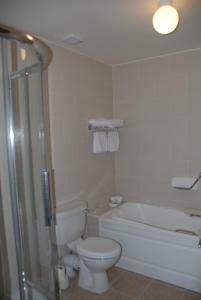 There is a fully equipped private bathroom with shower and a hair dryer. A continental breakfast is served each morning at the property. The bed and breakfast offers a barbecue. Guests can go cycling or relax in the garden. A warm and friendly home-away-from-home, Buttermilk Lodge is 5 minutes' walk from Clifden town centre, so you can just park your car and easily walk to town. The non-smoking Buttermilk Lodge has some ground-floor rooms. 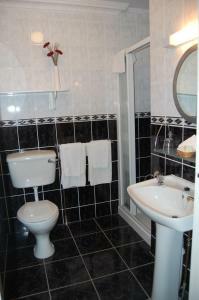 All rooms are en suite with every modern convenience. Free Wi-Fi internet access and a computer is available. The extensive breakfast features a buffet selection and then a choice of breakfast: Irish, smoked salmon and homemade pancakes amongst others. Special diets are catered for, incluidng vegetarion, gluten-free and dairy-free. All breakfasts are freshly cooked to order. The owners breed Connemara ponies and sheep on their farm which is a few miles from the house. You are welcome to visit them during your stay. You can also meet the resident dogs, Robbie & Harley, if you wish. At Buttermilk Lodge you will find real turf fires and original works of art, as well as lots of local knowledge and information. 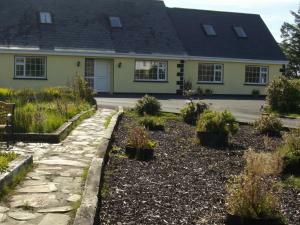 The Ardagh Guest Lodge in Clifden features accommodation with free WiFi, 1.6 miles from Alcock & Brown Memorial. Guests benefit from a terrace and a barbecue. 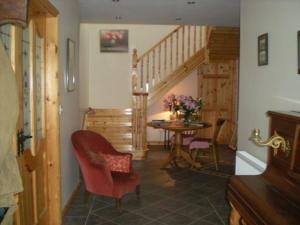 This holiday home is fitted with 1 bathroom with a bath and free toiletries. There is a dining area and a kitchen equipped with a dishwasher. 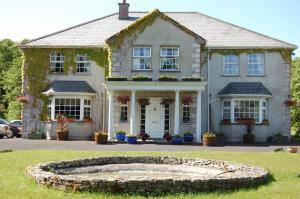 A continental, buffet or Full English/Irish breakfast can be enjoyed at the property. If you would like to discover the area, cycling and hiking are possible in the surroundings and a bicycle rental service can be arranged. 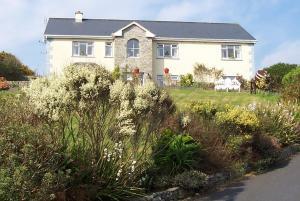 Overlooking the ocean on scenic Sky Road, Clifden Bay Lodge BnB features stunning sea views and full Irish breakfasts. Guests can enjoy bright rooms with private bathrooms, free Wi-Fi, and free parking. 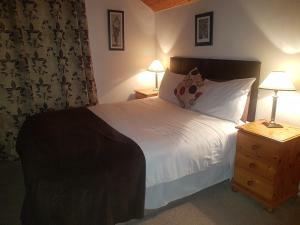 Light and cosily furnished, the rooms at Clifden Bay Lodge include a hairdryer and free tea and coffee. Some rooms also enjoy fantastic sea views. Connemara National Park can be reached in 15 minutes by car, while Clifden and the N59 road is just a 5-minute drive away. Cleggan, with its ferry to Inishbofin Island, is 15 km away. 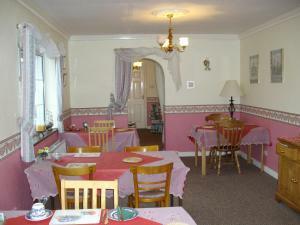 Evening meals can be served in the dining room with prior notice. 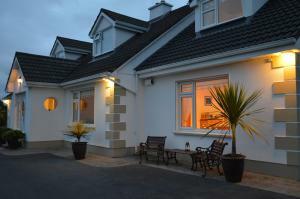 Boasting accommodation with a patio, 5 Courthouse Square Clifden is set in Clifden. The property is 3.1 miles from Alcock and Brown Memorial. The holiday home is composed of 1 separate bedroom, a fully equipped kitchen with a dishwasher and an oven, and 1 bathroom. A flat-screen TV is provided. 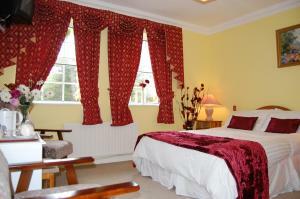 Featuring modern rooms with 22-inch Plasma-screen TVs, Seafield House offers beautiful Atlantic views. Guests can enjoy an extensive and hearty breakfast menu, including homemade bread and pancakes. Light and furnished with wood and calm, neutral colours, each room provides free Wi-FI and a private bathroom, while most bathrooms boast power showers. 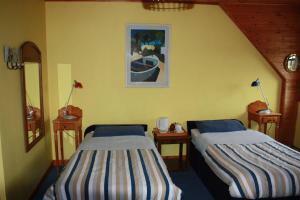 Rooms have scenic views of either the garden or the Atlantic sea, while most also feature cosy leather sofas. 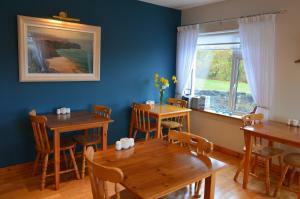 Full Irish breakfasts are served each day from local ingredients in the bright and prettily furnished breakfast room. Breakfasts also include locally smoked salmon with scrambled eggs, fresh coffee, and a selection of juices. 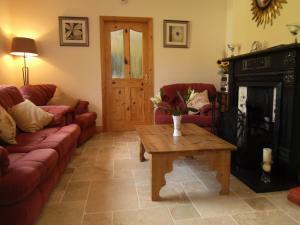 Guests at Seafield can relax in the guest sitting room, with a TV, a choice of movies, and tea and coffee. 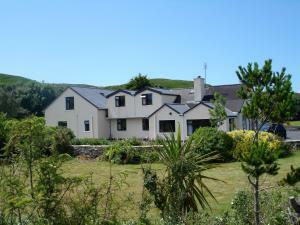 Free, secure parking is provided, and Clifden can be reached in 10 minutes by car. Seafield House is located near to many excellent biking routes, and can provide packed lunches on request. Set on the site of the old Railway Station, this modern hotel offers classic Irish hospitality with all the facilities of a new international standard hotel in Clifden, County Galway. More than 60 years ago, the last steam train departed from Clifden. Today, the Railway Station, Station House Platform and Engine House have been magnificently restored and transformed into the Clifden Station House and Courtyard. This unique hotel combines old brick and native oak with an ideal location. Other remains have been made into shops, a bar, a museum and a theatre. Anyone who loves relaxing, shopping, wining and dining will feel instantly at home at the Clifden Station House. Make it the centre of your holiday experience, for a short or long stay, and explore the many wonders of Connemara. Please note we do not accept Stag or Hen Parties. We have the right to refuse any group that we feel are a Hen or Stag group. 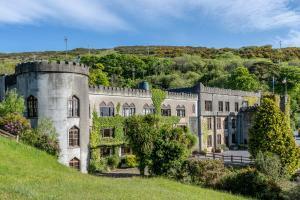 Set in beautiful gardens in the heart of Connemara, the romantic Abbeyglen Castle Hotel has tennis courts, a spa bath and stunning views of Clifden and the Twelve Bens mountains. Abbeyglen Castle Hotel was built in 1832 and offers free afternoon tea, a new beauty and relaxation centre, and many indoor and outdoor facilities. 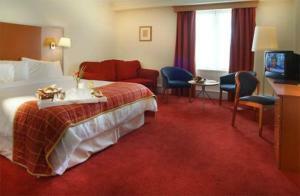 Spacious rooms have a TV, DVD player and free Wi-Fi internet. The AA Rosette restaurant serves international cuisine and there are relaxing lounge areas to enjoy. The peaceful Abbeyglen has the Twelve Bens mountains as its backdrop, and is an ideal base for touring Connemara. With spacious rooms, home baking, and 2 acres of private grounds, this beautiful, Georgian house is just 2 minutes' walk from Clifden town. 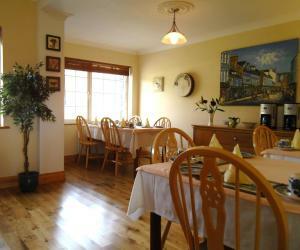 Guests can enjoy full Irish breakfasts and traditional Irish music. Light and warmly furnished, the rooms at Clifden House all include free Wi-Fi, along with a private bathroom and hairdryer. 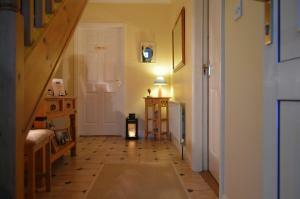 Guests can also make use of a TV and tea/coffee-making facilities. Some rooms also provide scenic garden or mountain views. Breakfasts include a wide range of options, with fresh fruit, pancakes, smoked salmon, and traditional cooked breakfasts. Some breakfasts also include traditional Irish folk singing from Connemara Country Lodge's hostess, Mary. Free parking is available, and a free shuttle service is available into Clifden town. Connemara National Park can be reached in less than 15 minutes by car. 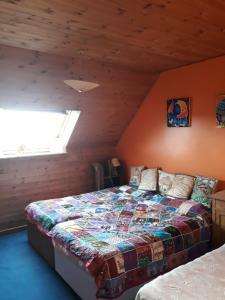 Offering home baking on arrival and rooms with mountain views, this 4-star BnB is just 5 minutes' drive from Connemara National Park. Guests can enjoy freshly cooked breakfasts and power showers. Bright and warmly furnished, the rooms at Cornerstone B&B boast views of Ballinakill Bay and the Twelve Bens Mountain Range. Guests can relax with TV, free Wi-Fi, and tea and coffee facilities. An extensive breakfast menu is served each morning in the bright and pretty dining room. Breakfasts include hearty, full Irish breakfasts, melon with strawberry sauce, and homemade jams made from fruit grown in the garden. The lounge is available for guests to relax, with satellite TV and a selection of DVDs and books. Cornerstones is set within the quiet village of Moyard, and the historic Kylemore Abbey is just a 10-minute drive away. 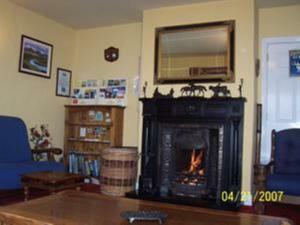 Clifden Village is 10 km away, and Lettefrack is a 5-minute drive from the house.